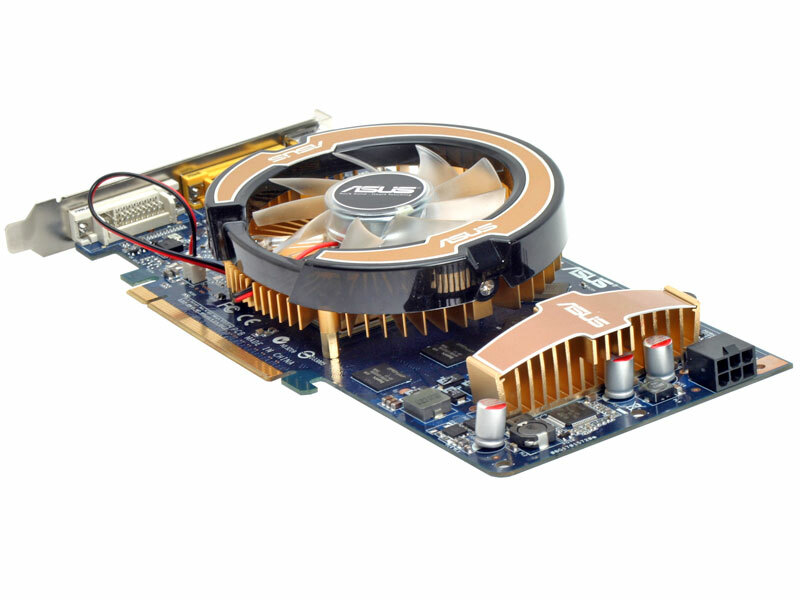 When AMD was briefing the press on its Radeon HD 3850, the GeForce 8600 GTS wasn't that much cheaper than where AMD was pointing its new mid-ranger. This was to such an extent that the company actually said its direct competition was the GeForce 8600 GTS – the two are completely incomparable from a performance perspective, but that's not important if the two are competing on price. We got word in January that there would be a new addition to the GeForce 8800 series: the GeForce 8800 GS – a card that launched in the middle of last month, priced at a similar level to the Radeon HD 3850. I wonder why, eh? 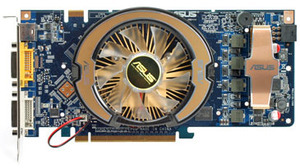 Anyway, the GeForce 8800 GS is based on the same 65nm G92 core that is used in both the GeForce 8800 GT and GeForce 8800 GTS 512MB, with the reference clock speeds set at 550MHz core, 1,375MHz shader and 1,600MHz memory—appreciably lower than the GeForce 8800 GT's and 8800 GTS 512MB's default frequencies. There's more to it than clock speeds though, because Nvidia has disabled two of the shader clusters inside G92, meaning that there are now 96 stream processors. Because the texture units are allocated on a per-cluster basis, these have also been cut down to 48 units for both texture filtering and texture addressing. In addition, the number of ROPs has dropped from 16 to 12, which also means that the GPU backs out onto a 192-bit memory interface and 384MB of GDDR3 memory. 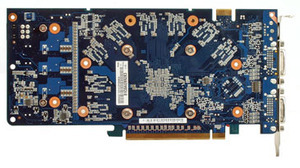 All remaining G92 features remain intact – it's a simple dead die SKU, in that Nvidia is using GPUs that didn't make the grade for either the GeForce 8800 GTS 512MB or the GeForce 8800 GT. You'll still get the second-generation video decoder, PCI-Express 2.0 support, and so on. There are only three partners that have released the GeForce 8800 GS onto the market because there's something else coming from Nvidia shortly that will be released by just about every partner. 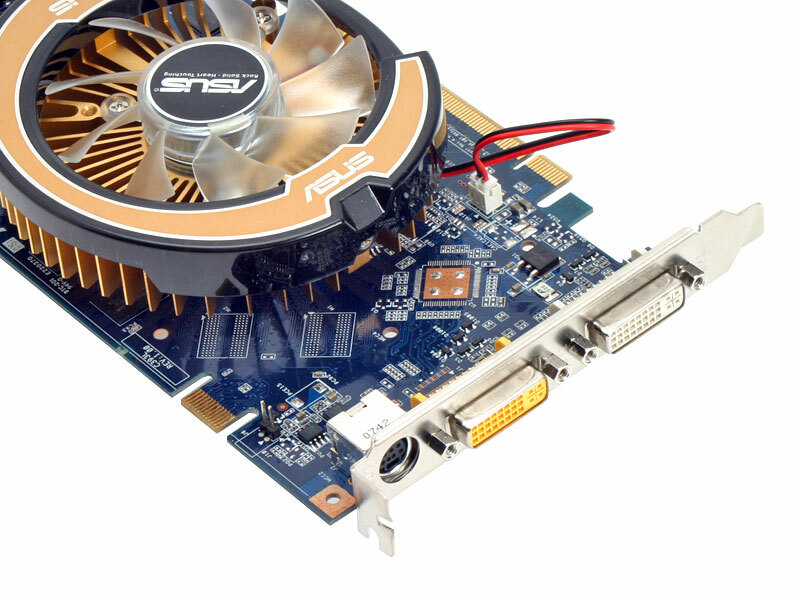 Asus is one of these partners and it sent over one of its EN8800GS/HTDP/384M graphics cards for us to test. While we're not going to be doing a full-blown review of this card, we felt it was necessary to look at where it fits into the performance landscape. The card itself isn't factory overclocked, but Asus has opted to design its own dual-slot cooling solution – this is pretty quiet, although not as quiet as the cooler on PowerColor's Radeon HD 3850 Xtreme PCS 512MB. Surrounding the heatsink, there are six 64MB Hynix HY5RS123235B-FP-11 GDDR3 DRAM chips on the card, making a total of 384MB of memory – these are rated to around 1,800MHz (effective), so there should be a reasonable amount of headroom. The PCI bracket includes two dual-link DVI ports—one is interestingly coloured yellow—which both support HDCP at resolutions up to 2560x1600. From looking around the PCB, it seems that Asus has implemented SPDIF support and we're assuming that the yellow DVI connector indicates that it's the DVI connector that can carry sound. However, what's disappointing is that Asus didn't include either a DVI-to-HDMI converter or a SPDIF cable in the box, meaning that we couldn't check if this was the case or not.